Marlene was a "model" truck driver who will be remembered for many years to come. 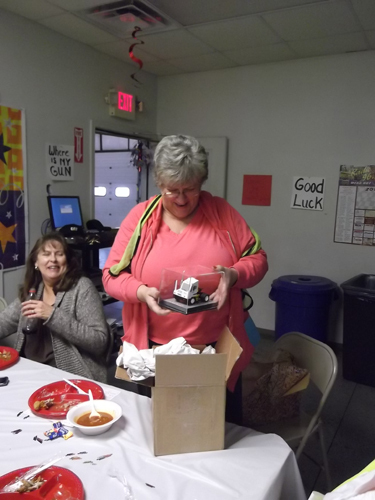 Because of her long-term dedication and years of service, her company Valeo Sylvania and Louisville Switching in conjunction with Ottawa, presented her with a model truck at her retirement party in October to remind her of her many hours behind the wheel. Louisville Switching and Ottawa take pride in our dedicated drivers and we were happy to play a part in this celebration.